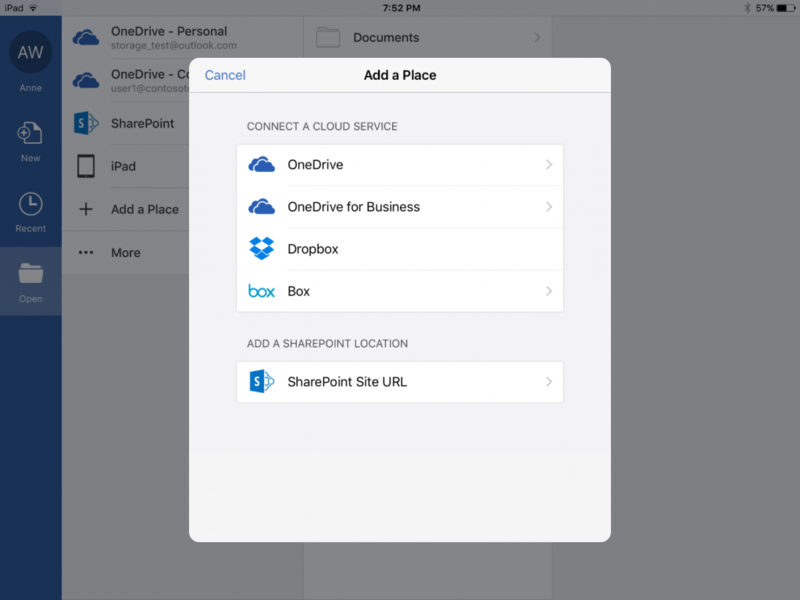 In February 2015, we announced the Cloud Storage Partner Program (CSPP) and enabled cloud storage providers to connect their services to Office Online and Office for iOS. 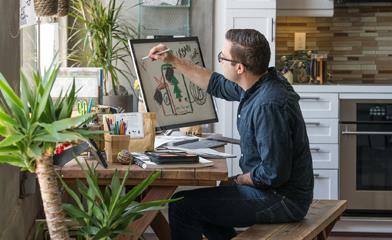 Today, we’re making Office even easier for customers to use with cloud storage providers by adding real-time co-authoring with Office Online for documents stored in partner cloud services, extending our Office for iOS integration to all partners in the CSPP, and enabling integration between Outlook.com and cloud storage providers Dropbox and Box. Since 2013, we’ve offered real-time co-authoring with Office Online documents stored in Microsoft OneDrive and SharePoint Online. Today, we are extending this capability to cloud storage providers in the CSPP program. Real-time co-authoring with Office Online is now available for users whose documents are stored in Box, Citrix ShareFile, Dropbox and Egnyte. Also starting today, any other partner in the CSPP program can enable real-time co-authoring using standard interfaces. We received lots of enthusiastic user feedback on our iOS and Android integration with Dropbox, which enables users to access, edit and share Dropbox files from the Office apps. You asked us for more choices and we’re happy to announce additional options! Starting today, in addition to Dropbox, we’re offering all CSPP partners the opportunity to tightly integrate with Office for iOS. This integration lets users designate these partner cloud services as “places” in Office, just as they can with Microsoft OneDrive and Dropbox. Users can now browse for PowerPoint, Word and Excel files on their favorite cloud service right from within an Office app. They can open, edit or create in these apps with confidence that their files will be updated right in the cloud. Users can also open Office files from their cloud storage app in Office, then save any changes directly back to the cloud. We’ll follow with other mobile platforms later this year. This integration is now also available with Box—with partners including Citrix ShareFile, Edmodo and Egnyte coming soon. Download the iOS Word, Excel and PowerPoint apps now and give it a try. The Outlook apps on iOS and Android have long provided support for Dropbox, Box and OneDrive for sharing and accessing your digital content. The Dropbox and Box integrations are now coming to Outlook.com to complement our existing OneDrive support. 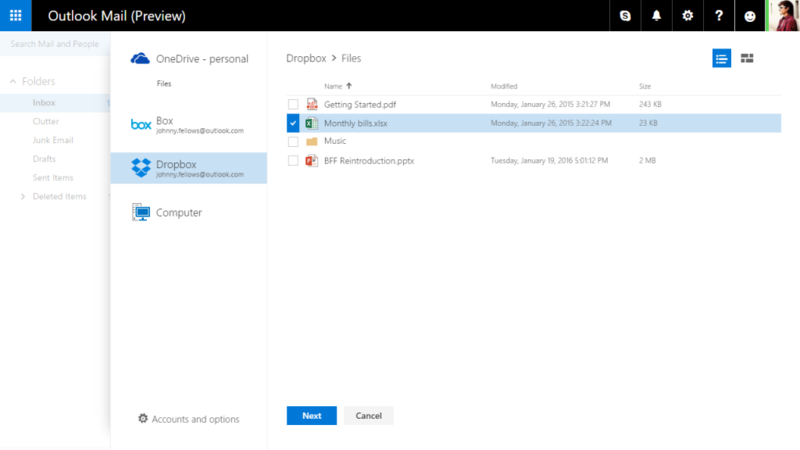 In the coming weeks, users of the new Outlook.com can attach files from Dropbox, Box and OneDrive right from their inboxes and they have the option to send these files either as traditional attachments or as cloud-based links. Today’s interoperability announcements are another step in our journey to make Office more open for customers and partners. If you’re a cloud storage provider, visit our CSPP site to learn more about how to join the program and take advantage of these new capabilities. 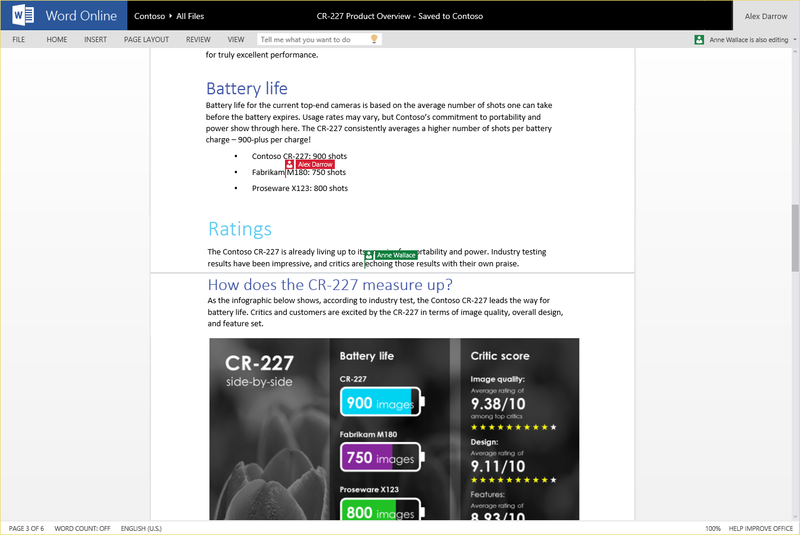 Thank you for using Office and please continue to share your feedback and requests at Office UserVoice.